Brewer – Arthur P. Doe, 84, husband of the late Beulah (Humphrey) Doe, died Aug. 5, 1992, at a Waterville hospital. He was born in Bangor, June 21, 1908, the son of James and Mary (Phillips) Doe. A Brewer resident for most of his life, he had been a barber in Bangor and Brewer for 53 years, retiring in 1990. 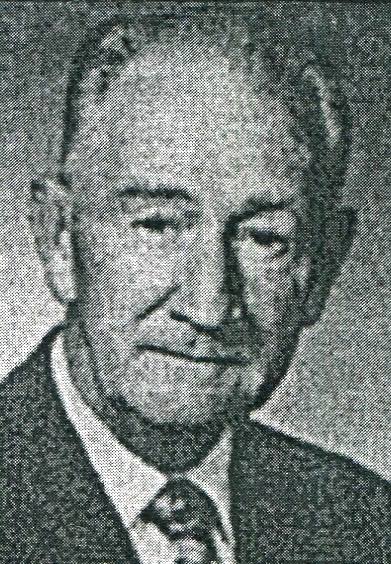 Arthur served on the Brewer City Council for a total of eight years, 1968-1975, and as mayor of Brewer in 1969 and 1975. He was a member of the Zoning Board of Appeals and the Planning Board and had been involved with starting the Can-USA Games. He was a member of the Ralph J. Pollard Lodge No. 210 AF & AM of Orrington, the Scottish Rite Bodies Valley of Bangor; Maine Consistory 32nd Degree, Portland; Anah Temple Shrine of which he served as Ambassador at Large for many years; and was treasurere for a number of years for hte Bangor Brewer Shrine Club. In 1984 he was the department commander of the Sons of Union Veterans of the Civil War. Surviving are three nieces, Louise Mayo, Judy Adams, both of Brewer, Susan Steeves of Needham, Mass. ; two nephews, Robert Ryan of Mariaville and William B. Marshall of Newcastle, N.H.; five grandnieces, Debbie Walls of Brewer, Janet Anderson, Karen Anderson, both of Needham, Mass., Cathy Hanscom of Orono, Laura Marshall of Newcastle, N.H.; one grandnephew, Robert Ryan of Medfield. He was predeceased by a sister, Marion Mayo in 1955. Friends may call 3-5 and 7-9 p.m. Thursday at Brookings-Smith, Clark-Piper Chapel, 55 South Main St., Brewer, where relatives and friends are invited to a Masonic memorial service, conducted by the officers of Ralph J. Pollard Lodge at 7:30 p.m.
Funeral services will be held 1 p.m. Friday at the funeral home with the Rev. Randall Chretian, pastor of the North Brewer/Eddington United Methodist Church officiating. Interment will be in Oak Hill Cemetery, Brewer. Gifts in his memory may be made ot the Shrine Hospital for Crippled Children, care of Anah Shrine Mosque, P.O. Box 735, Bangor, 04401.